Hearing these types of music, I stepped in to my twenties. Vividha Bharathi playing “Apka faramayish “ in Hindi was the station, which was incessantly on in my room, when I had free time after coming back from work. A few years’ later I went gaga about Ghantasala’s vibrant voice in Telugu, which had tossed me from Tretha- yuga to Dwaparayuga. I liberated music from the language tags. My tolerance to different languages and varied genre of music surprised me as a matter of fact. I was even in a live concert of Usha Iyer, I mean, Usha Uthup, who had given an interesting nuance to the style of music decades ago. The programme rocked and I had nodded a couple of times and clapped a while too, in appreciation of her style. I admired her gait and the Bindhi she wore on her forehead. When she invited all of us to sing along, we all felt tongue-tied. The karaoke craze was not in vogue yet. My neighbor disturbed me from my reveries. She stepped out; apparently her child’s item was over. I quickly took the seat, decided to concentrate more on the music. I chided myself for letting my memory take me away from the music being played right in front of me. Music and my memories were playing see – saw in front of me and I swayed hither and thither. I distinctly remembered the initial interview I had with my mother in-law to be, as if it had taken place yesterday. After talking about this and that she had asked me subtly, whether Music was my hobby. ‘No’, I said candidly. My answer shook her a bit; she apparently had a word with her son. But he had his last word. Nevertheless she did not make a molehill (Music) of a mountain. I also ensured that there was no discord in our relationship. She continued to sing and practice at home at her convenience. The M.C. ‘s voice kept dragging me back to the present and venue. He announced at once 3 items in a row. They were a piece each from Bach, Beethoven and Mozart. As soon as I heard these familiar names, my memories developed wings and took me westward to the western composers and musicians. My reminiscences drifted once again. When did I get to know about them? That was when I was in Germany for a short professional stint. The country boasts of so many music legends. Each name clicked a refresh button in my memory. Bach had Music in his genes. He was proud of his family’s musical achievements. What a pity that he had to die after undergoing an unsuccessful Eye operation! He was just 65 Years of age. Even the Creator, would have in hindsight, felt awful about the turn of events. My eyes filled with tears, when I recalled this. hear himself. What a paradox. My heart was wringing for him. The next piece was from Mozart. I sat upright, with all the good intention of hearing this piece. Mozart was the wonder child, the Creator of Zauberfloete (Magic flute). When he died he was around 35 of years of age. There were no mourners around. The gravediggers in Vienna did their duty and went away. Would he be enjoying now his posthumous fame? In succession another incident came flooding to the forefront. My daughter and I were on one of our travels spending a couple of days in Salzburg. I wanted to visit Mozart’s Museum. She wanted to go the filming venue of “Sound of Music”. I attributed her whim to her youthful fancy. I remembered the song “I am sixteen, going on seventeen” and left her to her choice. I visited Mozart’s Birthplace by myself. One composer’s name had always given me problems. What was his name? It was a tongue twister. Ah yes, it was Tchaikovsky. He had composed ‘Swan Lake’ in the year 1875 itself. When and where did I see this piece? 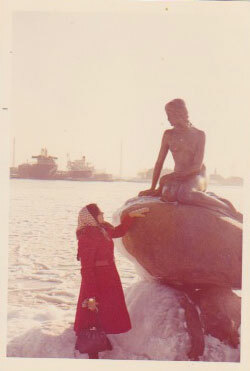 It was after visiting “The Little Mermaid” in the Tivoli Garden. It was in Copenhagen’s State Opera house. My hostess was proud and happy to take me to that programme, which was running to packed houses. I heard her say that the original production of “Swan Lake “ was unsuccessful. It was only after Tchaikovsky’s death that Swan Lake was revived again. MY hostess continued to whisper that it was a challenging piece for Conductors and dancers to perform. I refrained from saying that it was challenging for me too, to follow. His was another case of posthumous fame. Along with the memory of Swan Lake I could still get the fragrance of the Chanel, Davidoff or Lancôme, the ladies had worn for the evening. I heard the M.C. announcing the last piece, the best one, so to say, because my granddaughter was a part of the group. I pulled myself out from my reveries. Thank God, It was my favorite “These are a few of my favorite things, when I am feeling sad…” I straightened my back again to face the music. Before I could settle myself to hearing the piece, it was over. People stood up and gave a standing ovation to the singers. I too got up and joined them. I was quite pensive, thinking about the miserable failure of Music in the see saw game. I was upset with the memories, which were overpowering. Suddenly from nowhere a flash of lightening came to me. I knew what I had not achieved until now while being a part of a musical programme. I had never been successful in arresting my other senses and fine-tune only the sense of hearing viz. “LISTENING”. From now I have to escalate this sense and empower it to do its job well. Then the other senses will bow down to this with reverence and beat a retreat for a while. I was being driven back home. Chrysler was flying on the Newton Circus. The music was flowing from the music system. I lent my ears to that. I began from the beginning to disconnect my other senses and let only the sense of hearing (LISTENING) to connect me with music. “Hari chitta sathya” was being sung. The song appealed to my mind and the melody touched my heart. When I reached home I was myself again. Mandeville School’s programme was worthwhile, as it became a (re)turning point for me to be a music aficionado. Thanks, Mr.Kiran, for your frank feedback. It will encourage me further to continue my efforts in expressing my heartfelt thoughts. Your write-up invariably took me to the European lands and reminded me of places I've visited. Fortunately I went to Salzburg with my wife and we both believed that Mozart's museum was more interesting than the Sound of Music tour! I couldn't relate to the Purandara Dasa or MS bit because I grew up in an Engineer's family with no Radio or casette player. My introduction to non-bollywood music happened only after I entered college. Your article was a window to how children would have grown up in Bangalore... I can better appreciate my wife's childhood now. The only thing this article needs is a soundtrack! You make me want to youtube or pandora each composer/artist so that I may compare and contrast as I read along with your article. Let me know when you release a compilation CD called, "Listening Matters!" (smile) Good read! Thanks! Interesting information about Western and Indian composers. I knew that Mozart died young and Beethoven had become deaf in his later years, but I did not know that Bach had become blind. Music has universal appeal, whether it is Western or Indian. It is a very infomative article. I accompanied you in your musical journey with European music composers sandwitched between saint Thyagaraja and Purandara dasa..I only hope you did'nt forget to applaud your granddaughter after she performed! I thank you both for your comments on my write-up "Listening Matters". They are very encouraging and will definitely motivate me further. I thank you very much for your observation "Eternal truth is often felt but rarely expressed " which is the sum and substance of the write up "Listening Matters." Your comment will inspire me to continue writing. Pushpa, As our Vimalu says,it really is a 'musical safari' -your article! Reference to Bach brought tears to my eyes for I have great sympathy for his suffering soul, His was a tragic end. 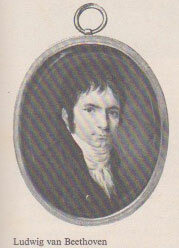 But for Felix Mendelessohh (Another famous conductor of Germany), Bach would not have become so wellknown. I enjoyed reading your article and would like to go over it again. Your narration is quite interesting. An excellent narration made more authentic with personal accounts.I thoroughly enjoyed the musical safari.Thank you Pushpa. Yes Pushpa Ji. Listening do matter. The way singing or playing is an art, the same way listening, grasping and enjoying the music is also an art. You have to immerse yourself in the piece of art that is coming to your ears and allow the pleasure to sink in. The experience proved to be a (re)turning point for you and you realized an eternal truth which is often felt but rarely expressed.